Bruce is spot on in drawing our attention to this comparison. His statement draws out the fallacy of “preference-based” worship. How can “getting what I want” in worship music style possibly square-up with Jesus’ prayer in John 17:21-23? and have lovedthem as You have loved Me. I can feel some of you purists (classical or rock) cringing now. Believe me, been there – done that. And I have also sadly heard and overheard denigration of worship expressions offered by others (in a preferred styled other than their own of course) with little consideration seemingly given as to what may have been taking place in the hearts of the worshipers from which they came. You see, when we separate people according to something as trivial as musical preferences, we evidence a fundamental failure to comprehend the heart of the gospel. We’re not only feeding toxic tribalism; we’re also saying the gospel can’t successfully bring these two different groups together. It’s a declaration of doubt about the unifying power of God’s gospel. Now that kind of singing is powerful singing!!! Soli deo Gloria! Bruce Greer serves with his wife, Kim, as co-Ministers of Music for First Baptist Church, Oklahoma City, Oklahoma. I am serving this week in a series of worship services focused on revival or renewal. The sermons have focused on the condition of the heart. I have found my own heart stirred as I have been reminded of the way the Holy Spirit works at the center of our beings, in other words, in the heart. I have been reminded of life moments when my spiritual condition of heart was challenged. 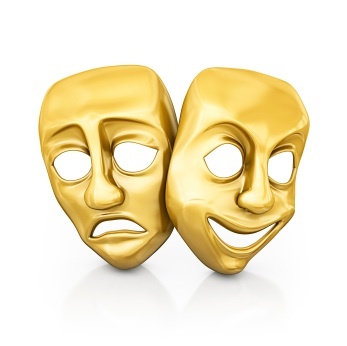 I have been reminded of the drama associated with each of those scenarios, and have been once again drawn toward the way music can assist expression of this drama that rages on within the human heart. Though touched intimately in this drama of the human heart, the worship also places me, and my heart in the totality of the Gospel drama that addresses the condition of the world. Of course, the Gospel drama is no cheap thrill. To the contrary, the metanarrative of God’s story takes time to develop, and holds the dynamic power that is the very force of all creation. It is, in fact, the essence of all history, known and unknown. Christian understanding of biblical truth is that the entire Bible points us to Christ. In the Old Testament, He is promised as the solution to our fallen condition and He is coming to live among us. In the New Testament He arrives in our world, shows us how to live, is crucified, buried, and resurrected, and promises His return toward which all creation waits. From beginning to end the point is Jesus Christ. Too frequently I am afraid we set the bar way too low in corporate worship, enticed by our culture’s entertainment gluttony, we become preoccupied with holding people’s entertainment interest, which quickly becomes an elusive proposition. What if we, instead, express a faith and expectation by giving the bigger picture and then helping to draw attention of gathered worshipers to experience this larger reality in the Gospel expressed through the arts (music, space, preaching, etc.)? What if we faithfully engage worshipers in singing together to experience the corporate-ness of our gathered worship through both the theological expression of our corporate praise and the musical corporateness of shared song and singing. Over the past few weeks I have sought to draw attention to each of the four major acts in fourfold worship and to draw attention as to how congregational singing might offer opportunity for engaging worshipers in each of these acts: Gathering, Word, Table, Sending. As a conclusion to this emphasis I want to reference my own writing – compiling on worship renewal through congregational singing. 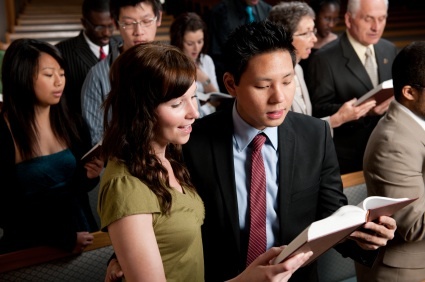 I want to particularly address those who plan and lead congregational music for worship, because I believe what you do in song selection, as well as in the manner of your leadership encouragement in a particular service of worship, either facilitates or distracts from community worship engagement. A question arises as to how we can measure these signs, always remembering that outward signs, like all worship symbols, are outward indicators or expressions of inward realities. Worship is a matter of the heart and of the community of hearts unified by the Spirit. Worship is a spiritual reality, and as such is ultimately evaluated by how much we are becoming like that which we worship. In the long term we know we are worshiping Jesus as we become more and more Christ-like. Videotape congregational participation in worship – through each fold of fourfold worship scan the congregation with video cameras positioned in different locations to discover the level of physical and aural involvement during gathering, word, table, and sending. 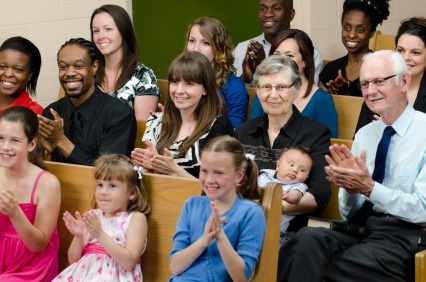 See if you can sense whether worshipers give indications of understanding what they are doing and why, and if congregational singing is serving to enhance that act of worship (addressing #’s 1 – 4 above). Form focus groups involving persons from a cross section of age groups in the church to discuss each of the signs indicated above. This will not only give you input from these age groupings, but will offer opportunity for much needed worship education for those and others they may influence. NOTE: care must be taken that focus group discussion does not become an opportunity for “what music I like,” which is completely contrary to your intended purpose. Such discussion blatantly contradicts #1 above, in fact. Over an extended number of Sundays provide the above list to a variety of selected individuals to grade the worship environment based on each plank above, using a scale of A – G, for instance. Involve the choir, senior pastor, and other individuals who have worship leadership responsibilities to assist in measuring the listed signs, and engage them in open discussion regarding weekly worship gatherings. These are not meant to be exhaustive lists, but rather are intended to stimulate your prayerful thinking as to what is taking place in your church’s corporate worship experiences. We must never forget that worship is a Divine mystery that evokes human response. As our friend and mentor, Dr. Gerald Borchert has stated, “There is a numinous quality about God and Jesus to which philosophers and theologians have given the designation of the mysterium tremendum, which essentially means that such mystery is beyond our understanding or control. The sense of mystery on one hand places us at distance from the Holy Other that is God, and at once draws us to the knowing that is made known to us in the birth, life, death, resurrection, ascension, and promised return of Jesus Christ, our Lord. Thanks be to God for this glorious mystery. Thanks be to God for the Holy Spirit Who moves in our hearts drawing us to Him, to one another, and to make His praise known in the world He created. Gerald Borchert, Worship in the New Testament: Divine Mystery and Human Response (St. Louis: Challice Press, 2008) referencing the work The Idea of the Holy by Rudolph Otto. If the benediction were worded based on the looks on some worshipers faces in some of the congregations I have seen, we might end up with a closing liturgical statement like, “Ready – set – Go!” Final words in Sunday worship are often accompanied by the sounds of coat zippers, the bustling sound of gathering up Bibles, Sunday School papers, and children. Perhaps a richer understanding of the powerful meaning in Acts of Dismissal, underscored by singing appropriate hymns and worship songs, might renew our grasp of the fourth fold of worship in the fourfold pattern of Gathering, Word, Table (response), and Sending (dismissal). Not only do the acts of dismissal bring closure to public worship, but they send us into the world to live out our worship in the moments of our days. As a member of a state missionary staff for the Southern Baptist denomination I know how central missions and evangelism are within our structure and emphasis. As do most evangelicals, we hold a conviction that sharing faith, exercising justice, and responding to human needs in the world are the responsibility of every Christian. Sadly, many more Christians know this responsibility in head than in heart. More of us would likely give verbal confirmation that we believe we need to share Jesus with the world in action and word than would engage a neighbor in a conversation about faith in Christ, or would serve a homeless shelter for a weekend. The struggle to match our Christian words with Christian deeds is an ongoing reality of our day. Our dismissal into the world to live out our acts of faith might be strengthened and encouraged by allowing sufficient time in worship for a more focused time of sending. Consider that this time of prayer and singing can bring clarity of application to all that has occurred in the day’s worship. For me the default reminders in this part of worship should include our hope for we live and serve in light of the returning King, our assurance of the omnipresence of our Lord Who is with us, and the urgency of the need that confronts us as the children of light. It would seem this portion of worship is a powerful time for the songs of mission, the songs of servanthood, songs of encouragement. Here is opportunity for the church to be sent into the world with a song in her heart. Some of the sending songs I have found useful are below. What are some songs that you would choose for Sending?